Can Small Businesses Really Do Their Own SEO? Many small businesses have dared to venture into the online world and the question each has always pondered has been: can we build a sustainable, successful online presence? The answer to this question is yes, but is dependent on many factors. At the end of the day, a small business will require a dedicated individual whose sole task it is to optimize the site for search engines, provide unique and up-to-date content while following all the protocols that come with every new update of Google’s or Bing’s algorithms. The reality is that many small businesses cannot afford these resources on a full-time basis, so contractors and firms are necessary. Most small businesses will be able to maintain a site once completed, but highly optimized websites will require periodical tweaks in order to keep it in line with the most recent standards set by major search engines. In the beginning, however, you may not know where to start. By drafting a mission statement for the site, deciding its specific functions and coming up with some aesthetic guidelines, you can then approach a web design firm with your needs in mind. This is also helpful in preventing companies from selling you more than you really need. In order to avoid profiled messes or potential complications, steer clear of individuals who offer their services and seek to do business with a firm of individuals dedicated to web design. This will offer you a greater bang for your buck in many cases when it comes to the number of individuals who may be working on your project, and makes it more likely for mistakes and errors to be caught by another set of eyes. It may cost more, but the result typically is better. You will also want to keep the firm around for future updates when needed. Also, never be afraid to ask for examples of their work or a portfolio prior to committing. Once the site is deployed and running, a small business can in fact maintain the most crucial part of the site: its content. Most sites are designed with content management systems that make creating a new page with content as easy as sending an email. You will typically want to use keywords with created articles and pages as a way of being found by people searching for a specific topic. Pingler offers a great tool, the Keyword Rich Domain Finder, that will allow you to scope out your keyword competition or even find partners with whom you can link and build your web presence together. Over time, a small business may be able to phase out the web design firm and maintain their site completely. It is unlikely, however, that a small business will want to spend the resources, money and time to hire an individual to perform these tasks full time and can be wasteful in many cases. If the owner or an existing employee is dedicated to learning how to keep up with the times and maintain a modern site, however, it is very possible in the long-term for a small business to do their own search engine optimization. « Is Having a High Bounce Rate Bad? I agree with your article. tank you so much…,great information.. Absolutely they can. I hired two different companies and I was nowhere to be found. Now I have myself on page one for my most searched keyword in my service area. It can take several weeks or months for a website to reach page 1, pending all variables. Maybe the 2 different companies set some great groundwork before you fired (?) them, and you are just now seeing the fruits of THEIR labor, not yours. There’s no way of knowing. Thanks for nice blog.Yes a small business can do own SEO by submitting or posting Local free classified site and it works. Yes small businesses sure can manage their own SEO. I’m a small business owner of a website called Easy Lifestyles and I’ve successfully ranked #1 in my own niche. Great post thanks for sharing. When it comes to marketing in the current economy, small businesses need all the help they can get. They don’t have the ad budgets, the personnel or the time that the bigger competition has. But none of those factors really matter to search engines, and SEO is a great way to both level the playing field and steal marketshare. 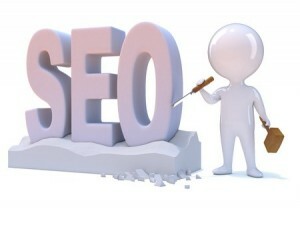 I firmly believe that it is possible for small business to handle at least some of their SEO themselves. Even in a profitable company every single person should be doing what they can to improve the rankings, making blog posts about their area of expertise etc. This also serves to build a sense of company unity. I think I can safely say that I am living proof that a small business owner can build a very successful website. My own exploits led me to develop my own online businesses, one of which shows small business owners how to build an effective business website/blog. What is Retention Marketing and Why Should You Use It?